Armoured with the following tips, make use of the Christmas Break to backup your irreplaceable family photos and data. You never think you will lose your files until it actually happens. If you haven’t experienced it first hand; you’ve certainly witnessed a friend going through it: That modern pain of total, irreparable data loss. It begins with a horrible sinking feeling in your stomach as you realize you have lost your precious family photos and other important data – and, “Oh C##p!”, you failed to back it up. Fortunately, there’s a simple step to preventing this – store your files in multiple locations. Backing up data regularly ensures that personal documents, photos, and other important files are secure in the event of a technology meltdown. Transfer your data to separate type of media, such as a CD/DVD, external hard drive, USB Flash drive, or Windows Home Server. 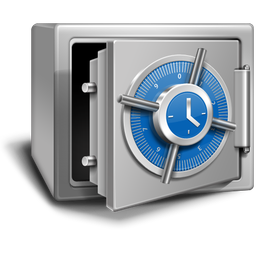 For people who like backups of backups, especially for financial data, this provides a way to store the data offsite at another location or in a bank safety deposit box. ADVANTAGE – Backups and restores are fast and accessible. Copies can be placed offsite for complete buy generic bactrim peace of mind. DISADVANTAGE – Cost of media or server can be expensive. Even though the media might be very resilient, it is still susceptible to physical failure. These backups are stored online and can be accessed from anywhere and often by multiple computers. The data is often stored in a secure online location that is accessible with a password you create. Some services available are Dropbox, Google Drive or Microsoft Skydrive. Other services are available so do your research and choose the one that’s right for you. ADVANTAGE – The most secure method and can be accessed anywhere. Backups can be setup to automatically happen in real time. DISADVANTAGE – Usually requires a subscription cost and regular online access. Document the files and folders to be saved. Back up the most important files first. Consumers may back up important information once a week. Small businesses may do so daily. Most backup software can be programmed to consistently backup automatically. Load information from the storage device back to the computer to ensure that the data copy is intact. Merry Christmas and happy backing up!